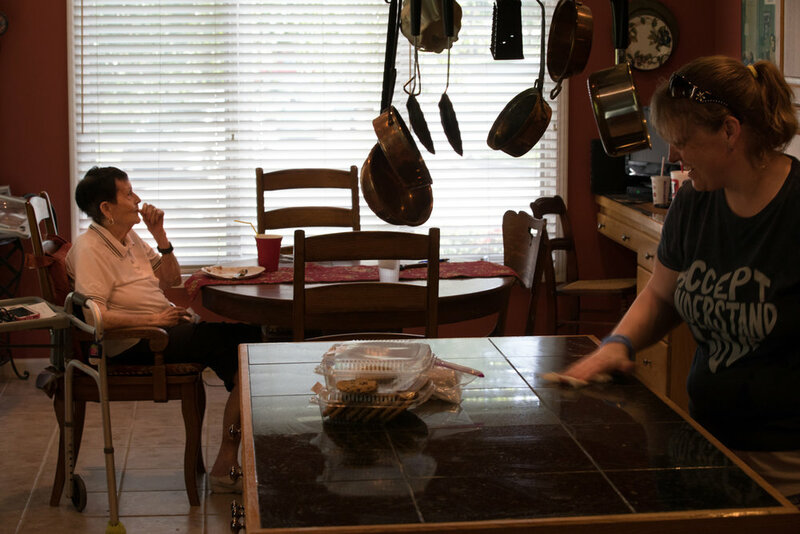 At Trinity In-Home Care, a common request is assistance with light housekeeping. But, this is difficult to define, as each person’s expectations for housekeeping is as individual as the person! Because of this, we find that a lot of misunderstandings can come from this one task. Light housekeeping is just one of the overall tasks TIHC’s caregivers provide. The duties you can expect are those necessary to keep your home orderly so you can enjoy a safe, healthy environment. You are encouraged to describe to your caregiver your preferences and priorities for cleaning, especially if your caregiver is limited in their time in your home. • And, your caregiver will clean up after themselves while in your home. What isn’t covered by TIHC’s Light Housekeeping? Light housekeeping is restricted to the client and the client’s living space, and is not intended to address the needs of other household members. Trinity In-Home Care is not a professional housekeeping service and our caregivers do not have special housekeeping training. TIHC caregivers do not bring housekeeping supplies or products with them. Your caregiver can take you grocery shopping so you can get your preferred cleaning supplies. What if my home needs more deep-cleaning or special cleaning which isn’t part of the TIHC services? If your home requires cleaning outside of what we offer, TIHC can connect you to a professional housekeeping service for those needs. The TIHC caregivers can help you maintain your home’s cleanliness going forward. Please call the office for referrals to a professional housekeeping company. What about Light Yard Work? If you have light yard work requests, please call the TIHC office to describe what you need. TIHC has a few caregivers who enjoy light yard work and they may be available when you place your request. This can include re-potting of plants, tidying a flower garden in the spring and sweeping off porches. Light yard work does not include mowing, raking leaves, heavy equipment, shoveling sidewalks or pulling weeds. If your yard needs significant work, TIHC can refer you to a professional landscaping/ yard work company. If you have questions about your housekeeping or yard work needs, please call the TIHC office at 785-842-3159.